A six-month restoration of the 61-year-old instrument is nearly complete and will be celebrated with a concert Nov. 19. 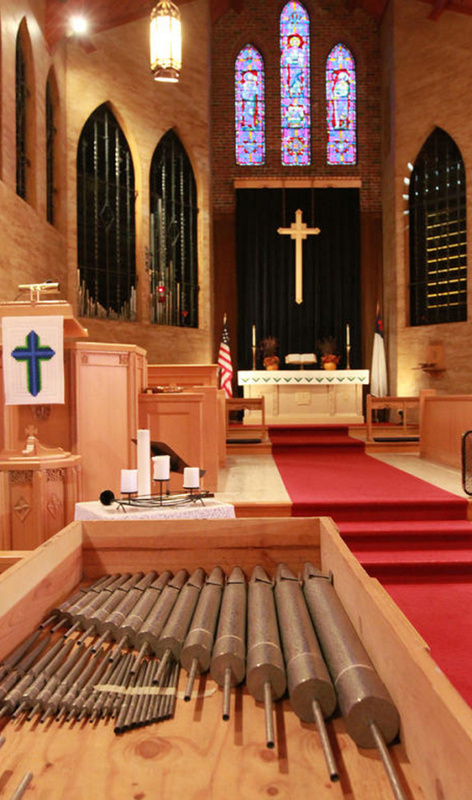 A yearlong effort by the Blue Point Congregational Church raised $36,000 for repairing the 1,550-pipe organ. The instrument was built by the Austin Organ Co. in Hartford, Connecticut, and was designed by longtime church organist Harold Snow of F.H. Snow Canning Co. in Pine Point. Nancy Landsman, who serves as music director, organist, chorus accompanist and choir director, is also looking forward to playing the organ at the church again. She said that because of the deterioration, the organ’s sound had been compromised. Landsman said that aside from curtains being removed, people won’t see a physical difference. But they will hear the difference. The organ will be played during the church’s Sunday service at 9:30 a.m. and at weddings and funerals. 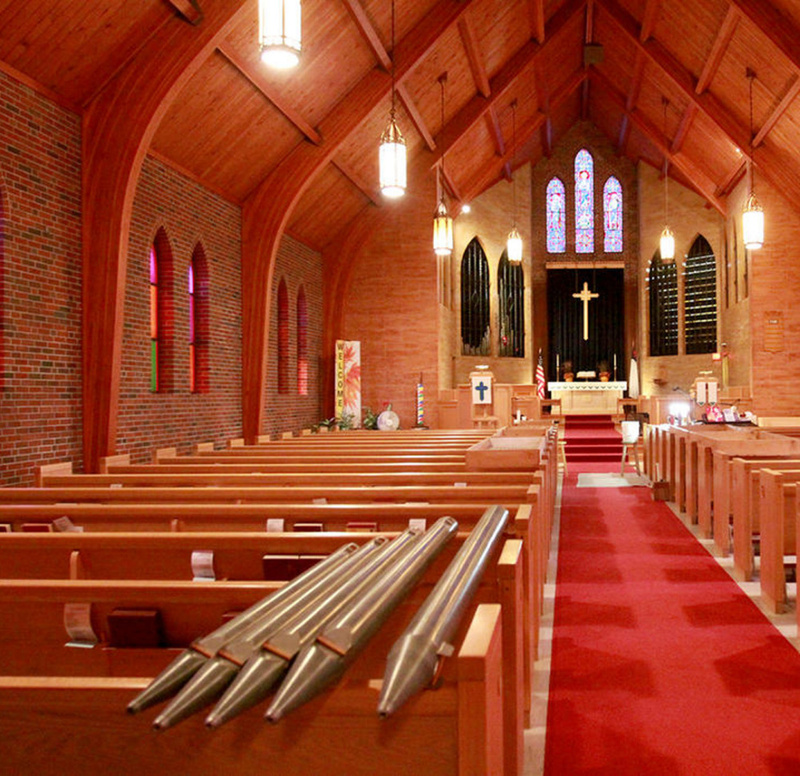 During the restoration, Landsman said the church has been using a digital Clavanova piano. Orso, who has been repairing organs for 45 years, said the instrument is relatively new in terms of pipe organs, but each of the pipes had to be removed and cleaned. Constant expanding and contracting caused cracks along some of the pipe seams, which also had to be repaired. Orso used a compressor to blow off dust inside and out, hand-washed each pipe and, before reinstalling, removed and dusted them again. He said not much has changed in the past few centuries, other than the addition of keying systems. The pipes are made from different materials – the larger ones from zinc and the smaller ones from tin and lead. Some larger pipes are made of wood and are more rectangular in shape. During the nearly six-month process, Orso also replaced copper wiring that was corroded, magnets and the leather on the expansion boards. “Without the repair to the expansion boards, it will not properly function – the air will not flow through the pipes to produce the correct tone,” Landsman said.